Get those projects done BEFORE the holiday season arrives! We’ve all seen it, the holiday decorations set up in stores long before it seems they should be. Is it just me, or does it happen earlier and earlier each year? 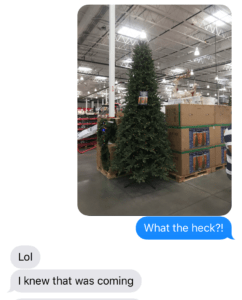 About a month ago, on one of those really hot days we had, I walked into Costco, only to be greeted by a couple large Christmas trees and other holiday décor quickly taking over the aisles that had just contained the gardening and summer fun items. I couldn’t help but snap a picture and send it to Bill. Now don’t get me wrong, I absolutely LOVE the holiday season. It will be extra special this year, as we get to celebrate with our new baby due to arrive in just a couple weeks. But still, I’d like to savor what I love about THIS season, the one we’re actually IN before jumping a couple months ahead. I’m sure the stores all know what they’re doing though, don’t they? They’ve done tons of research and know exactly the right time to get us thinking about the holidays. Maybe there’s something we should take from that! 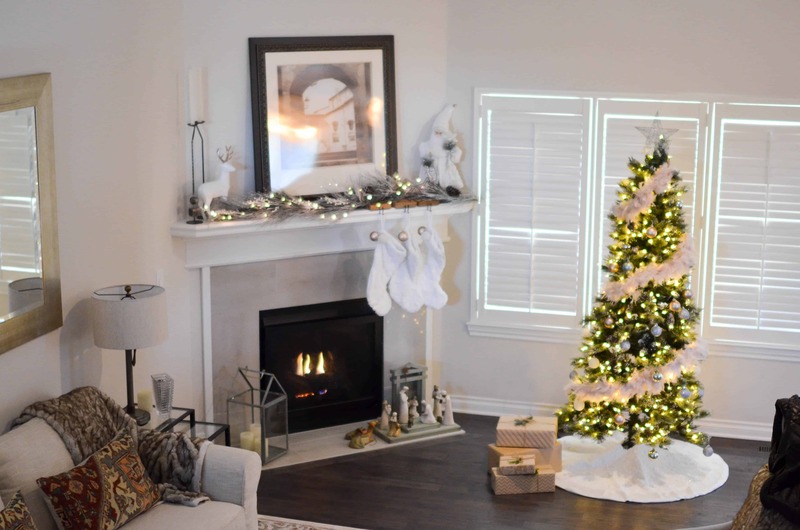 What home projects are you going to want done before setting out your holiday décor this year? Are you ready to freshen up the paint on your walls? Or maybe it’s time to refinish or paint the woodwork, windows and trim throughout your home? How about finally updating those golden oak cabinets you’ve stared at way too long in your kitchen? One year, early in our marriage, Bill asked me if I’d like the woodwork in our living room refinished. Now my home, which had become our home, was an old, adorable place, filled with character. The molding and trim throughout was so intricate and beautiful! Picturing it with a rich, fresh stain had me quickly agreeing it was a good idea. What I didn’t consider, was that on a whim, he was going to start this project the week I wanted to decorate for Christmas. Because he was doing it during the little free time he had, it was a project that dragged on longer than I think either of us anticipated, and I never even got the tree up that year. I wish I could say I was perfectly graceful about this, and grateful for the stunning new finish on my woodwork, but I will blame immaturity on the fact I spent more time being upset about “missing” the holiday season — clearly I needed a good reminder of what the true meaning of the season is! All that to say (besides, thank you Bill for the beautiful woodwork) is NOW is the time to get those projects done! 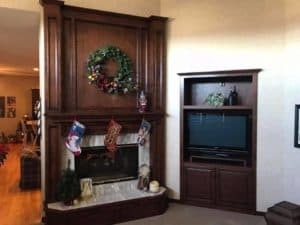 No matter how big or small the painting, woodwork refinishing or cabinet project may be, we are ready to get it done — BEFORE you want to start that holiday decorating! 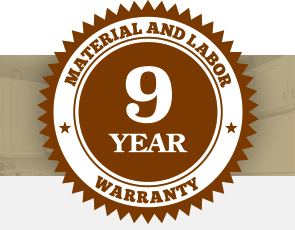 Give us a call at 402-932-9764 or book an estimate on our website today! 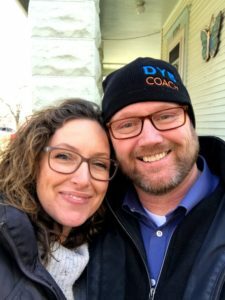 Tia & Bill have been married 13 years, and will soon welcome their 5th child into the world. While Bill had been running Brush & Roll Painting for a number of years, Tia was excited to become a part of the company. Using her previous experience as an Office Manager and Payroll Manager, she was a welcome addition to the business. She also handles Human Relations and works alongside with Bill in Marketing.